We hereby present you with the holiday homes and apartments in Germany that have obtained the best ratings from our customers – from the coasts to high up in the mountains. 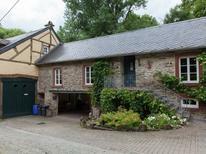 A holiday house in the region around Moselle, Saar, and Ruwer costs on average USD 578 in the cheap travel period and USD 724 in the peak season per week. These details are of course in relation to the house and not per person as well as includes the obligatory additional charges. 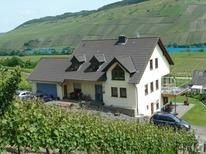 Named after the Mosel River, Moselle-Saar-Ruwer is one of the 13 regions known for their high quality wines in Germany. While internationally known for its Riesling grape, Müller-Thurgau and Elbling also contribute to the region's wine production. Covering the valleys of Ruwer, Moselle and Saar, the region is also the home of the world's steepest vineyard, Calmont, which is planted on a 65° degree incline. 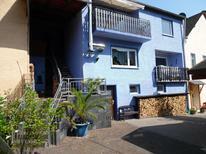 There are many attractions and holiday rental opportunities in Moselle-Saar-Ruwer. The Mosel River Valley is an ideal spot for renting a holiday house or a holiday apartment if you would like to learn more about local wine production, whereas the city of Trier is a good starting point from which to explore the region's history. 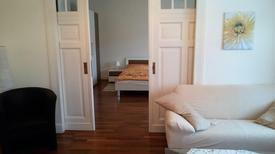 A holiday rental in Trier gives holidaymakers the opportunity to explore the city's Roman past at Porta Nigra (the ancient city gate), Aula Palatina (The Basilica of Constantine) or the ruins of the Kiaserthermen (the Roman Imperial Baths). 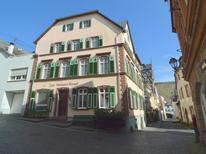 Straddling the Mosel and the Rhine, Koblenz is another impressive and historic city in which to rent a holiday home or book a holiday apartment. The Deutsches Eck (German Corner), which separates the Mosel and Rhine rivers, offers spectacular views over the city. 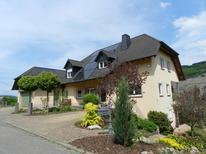 A holiday house in the rural district of Mayen-Koblenz also places holidaymakers within easy reach of the historic town of Wierschem, home of Elz Castle which dates from the 12th century. 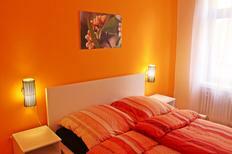 The best time to enjoy a holiday rental in Moselle-Saar-Ruwer is from late spring to early autumn. During this time the weather is warm, with temperatures ranging from 18°C in May to 25°C in July. Depending on weather conditions, the best time to rent a holiday home and explore the vineyards is immediately after the harvest season in autumn. 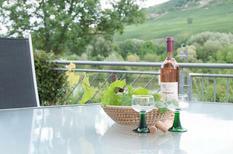 With its spectacular vineyards and ancient towns and castles, Moselle-Saar-Ruwer offers many opportunities for a relaxing break at one of its many holiday houses.